I've mentioned the year I lived and studied in Bologna -- aka The Best Year Ever -- more than once on this blog, and with good reason. It was an extremely formative (not to mention incredibly fun) year for me, one where I traveled all around Italy and Europe for the first time, really learned to speak Italian, and was overall pushed out of my usual generally-shy-person comfort zone (having to make friends in another language will do that to you). Traveling and timidness aside, it was also 12 months in which my gastronomic horizons were greatly expanded; while I already knew I liked to cook and bake, Bologna gave me a culinary education of sorts, introducing me to a all sorts of new dishes and a whole new way to eat; I learned that the typical Italian breakfast was a cappuccino and a brioche, discovered the delicious convenience of pizza al taglio, and experienced the simple joy of the afternoon gelato break (up to three different flavors allowed in one cone!) I sampled bolognesi specialties like multi-layered and super sumptuous lasagne alla bolognese, tortellini in brodo, made with tortellini no bigger than a thumb nail, pistachio-studded mortadella, and the star of today's post: piadina alla romagnola. 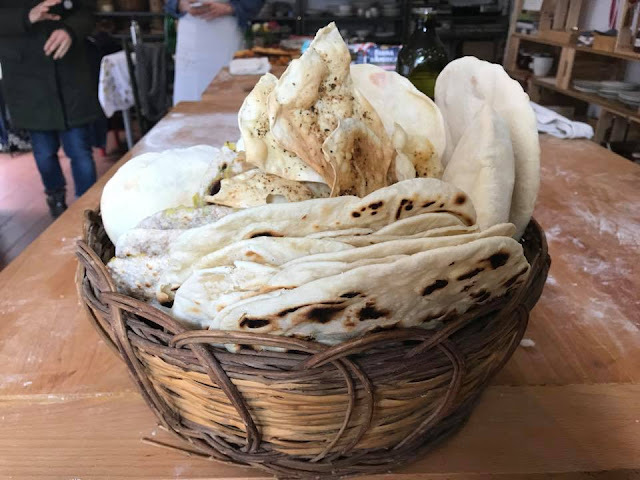 If you're not familiar, the piadina is a flatbread from the Romagna region of Italy that is cooked on the stove and filled with any ingredients you like, a deliciously blank slate (think of it as Italy's answer to the Mexican tortilla or the American wrap). There was a piadineria not far from the building I took classes in at the University of Bologna, and it was where my (new Italians friends!) and I often had lunch. 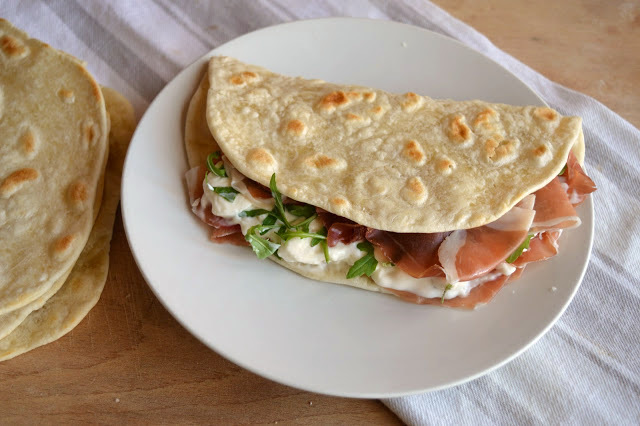 My usual order was a piadina with stracchino cheese, arugula, and prosciutto, and sometimes, if a class had been particularly long and we all felt we needed a little something extra, we'd all split a sweet piadina filled with Nutella. When I said good bye to Bologna at the end of the year, the piadina was one of the foods that I missed most. 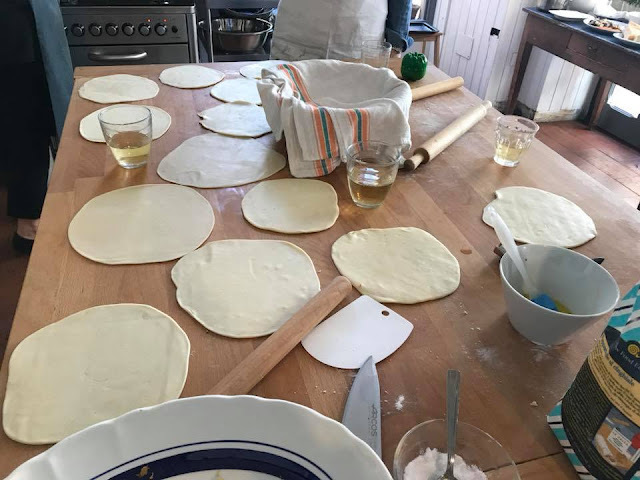 While I've been able to recreate most of the dishes I learned during my time in Bologna -- lasagne alla bolognese, tigelle, and an Incredible Chocolate Cake from my favorite bakery -- the seemingly simple piadina had, up until recently, always eluded me. Simple flatbread though it might have been, the piadina was deceptively tricky -- no matter what recipe I used, my attempts resulted in piadine that were tough or chewy or that broke easily once cooked, miles away from the ones I so enjoyed in Bologna. As of a few weeks ago, it was still on my To-Conquer-List (along with perfect poached eggs, the Thanksgiving turkey, and profiteroles, if you were wondering) and I figured that I'd have to wait until my next trip to Bologna for a piadina-fix. Enter Carla Tomasi! 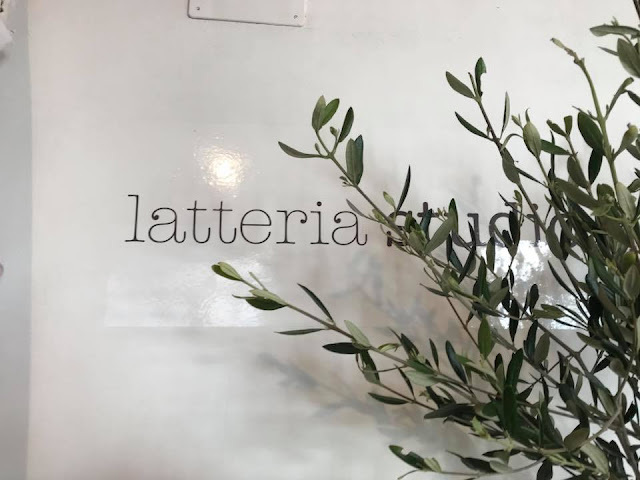 Carla -- a self described cookery teacher/pickler/jammer/baker/preserver/busy body -- is a walking culinary encyclopedia, a complete extraordinaire in the kitchen, and lucky for me, offers cooking classes here in Rome at the gorgeous Latteria Studio in Trastevere. 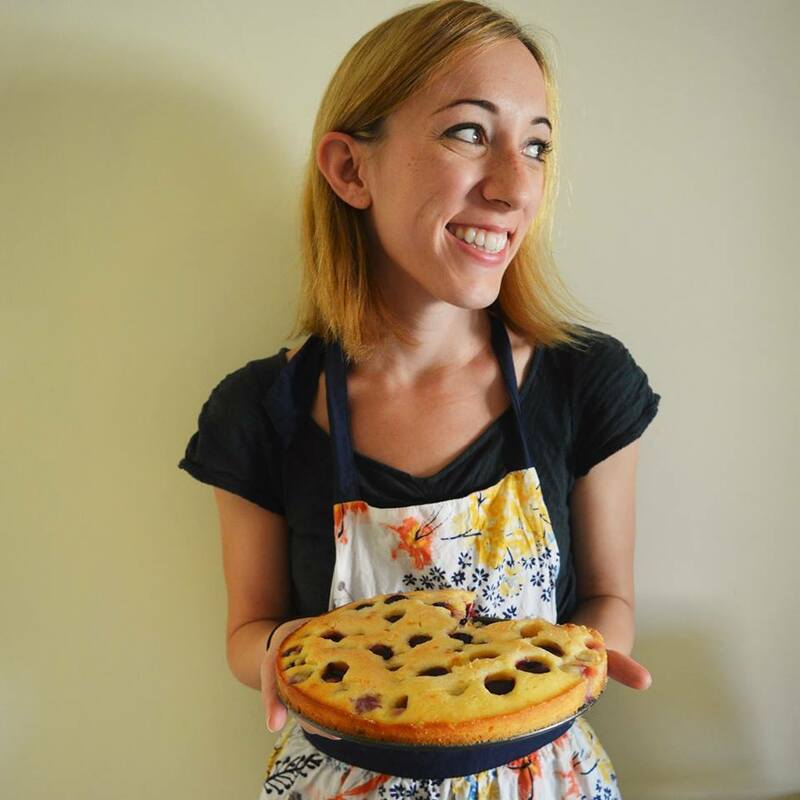 When I saw she was offering a lesson on bread -- specifically, when I saw that she was offering a lesson on bread including piadina -- I signed up right away, ready to tackle the one, seemingly simple recipe that had always escaped me. With Carla's help, I realized that I'd been making a few mistakes over the years -- for example, piadina dough needs to be covered at all times, to prevent it from drying out (the fat in the dough makes it an easy target for this); it needs to be cooked over pretty high heat, and turned consistently; and, interestingly enough, when baking soda (the leavening agent) was left out of the recipe, I found it resulted in much softer, more fold-friendly piadine, unlike the cracker-y ones I'd produced in the past. At the end of the lesson, I triumphantly carried a bag full of piadine home with me, having successfully tackled the beast. Piadina victory was finally mine! Or was it?! To truly put myself to the test decided to make piadine at home, no Carla to rescue me (gulp), and I'm happy to report that her spot-on recipe works even when she's not in the kitchen with you (phew!) 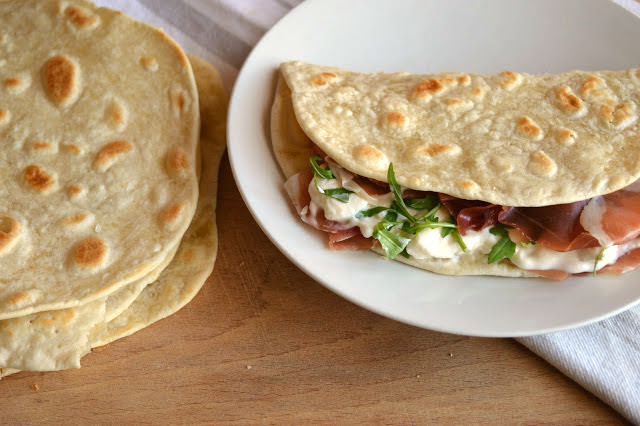 The below recipe produces piadine that are downright perfect, soft and pliable and polka-dotted, with a slightly salty, buttery flavor, the perfect vehicle for rich prosciutto, peppery arugula, and tangy sharp stracchino -- I was transported back up north to Bologna at the very first bite (there's nothing quite like nostalgic eating). My piadine horizons have been expanded, and the options are endless: a more brunch-y piadina, with scrambled eggs and cheese?! 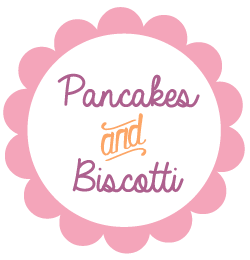 sweet piadina with ricotta and Nutella?! piadina with cicoria and sausages?! After so many years of piadina failure, I have some catching up to do, I think, and Carla Tomasi is to blame. 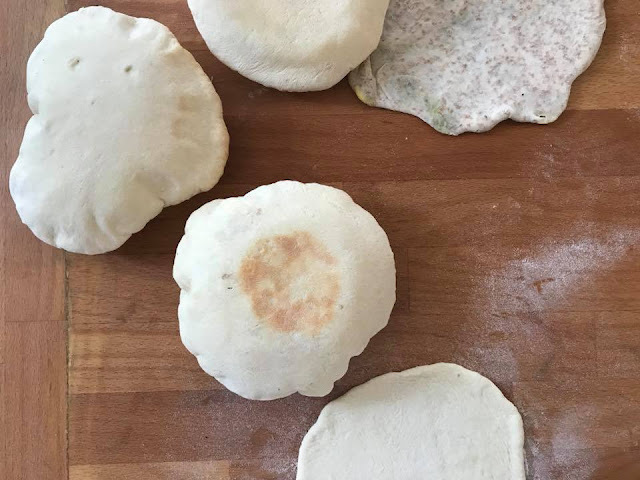 A couple of notes from Carla herself: Piadina is a tender and chewy flat bread that used to be the everyday bread of Romagna’s farmers. It was cooked in the hearth on a terracotta slab (called testo) and over coals. Piadine are incredibly easy to make, but I suspect that outside Romagna nobody makes them at home. Piadine- and all manners of wraps- are some of the best selling food lines in supermakets. They freeze well, either cooked or portioned into small discs. They are the perfect partner to all manners of food the likes of salumi, cheeses and best of all sautéed garlicky greens. You do not really need a testo to cook the piadine, just a sturdy pan will do. However if you know how to control the heat any pan will do as long as it is shallow and not a tall saucepan. The pan is hot enough for the piadine when drops of water skip off the surface. They are delicious when just made but also reheats well in a very hot oven or toaster. 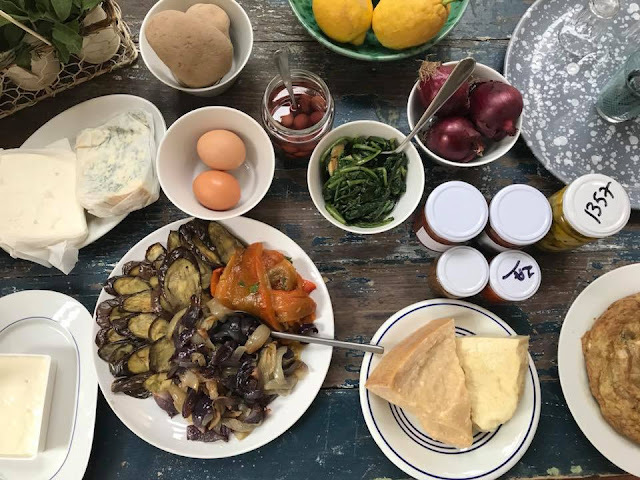 A couple of notes from me: If you're in Rome or based in Rome and like to cook, I highly recommend a class with Carla -- you can contact her for more information at cookingwithcarla@virgilio.it. Regarding the piadine, you can quite easily find strutto* (un-glamorous translation: pig fat) in supermarkets in Italy, but if you're based outside Italy might have some trouble finding it. If this is the case, feel free to substitute olive oil, which also makes for a vegetarian-friendly piadina. 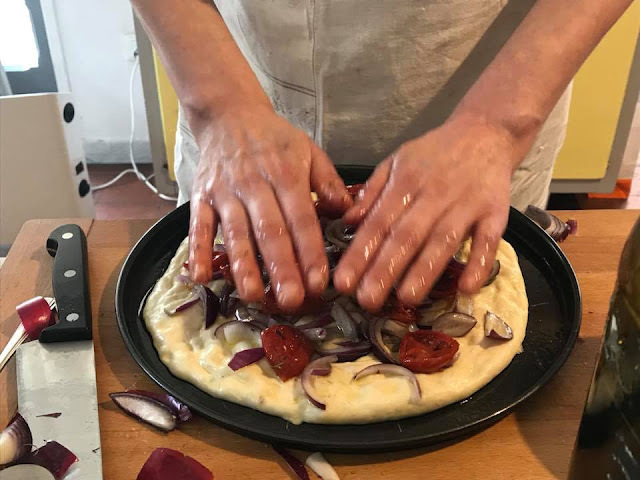 The dough here is a dream to work with, as long as you keep it covered, and the strutto leaves it shiny and smooth and stick-proof -- no flour needed when you're rolling this out, and no oil needed when you're cooking the piadine in the pan. Finally, I would recommend using a kitchen scale here to be most precise with the ingredients and measuring out the dough, but if you don't have one I've also included cup measurements below. Whatever filling ingredients you'd like; I used prosciutto crudo, stracchino cheese, and arugula (aka rocket). In a medium pan over low heat, melt the lard and then add the milk to the pan. 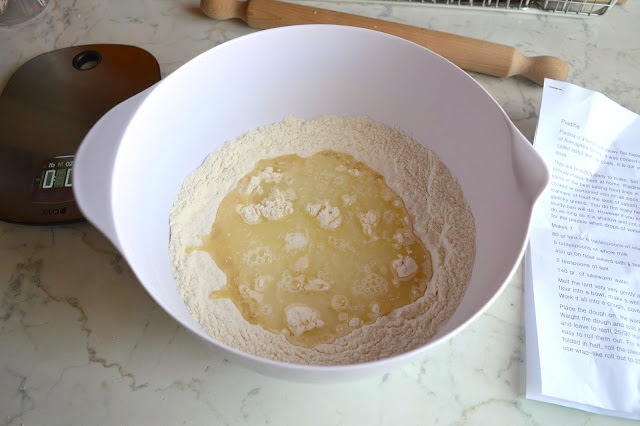 Place the flour in a large bowl and make a well in the center. Drop in the salt, water, and milk/lard mixture, and stir with a wooden spoon to get a dough started, working all the ingredients in to the flour. 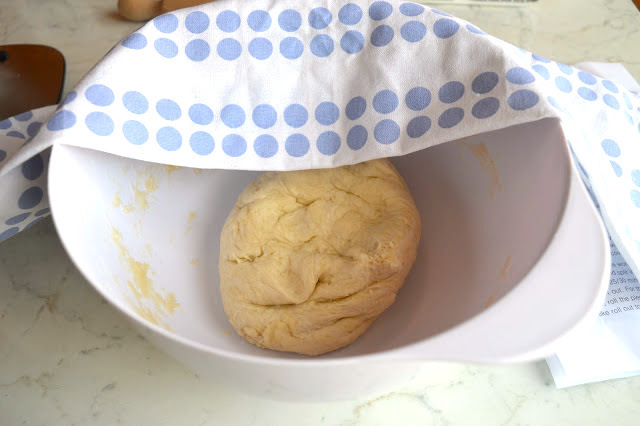 Once your dough has formed, cover it and let it sit for 10 minutes. 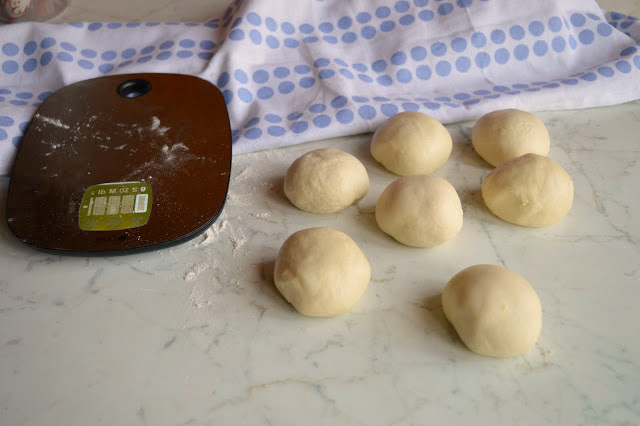 Place the dough on to a clean work surface and knead until shiny, smooth and elastic. Using a kitchen scale and a little basic math, weigh the dough and then split it in 7 equal pieces. 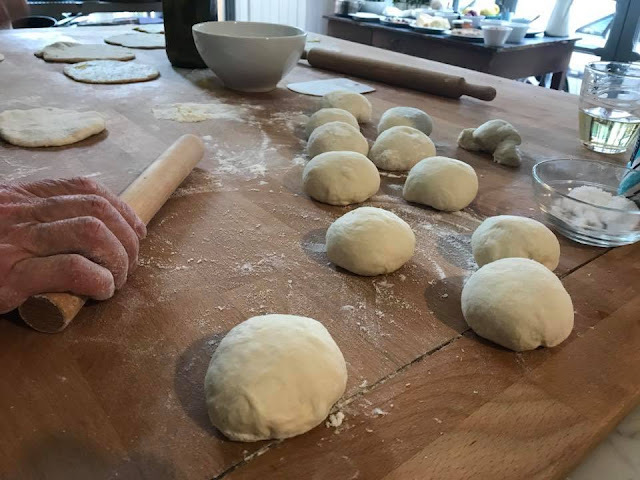 Roll the pieces of dough into balls, then cover them well and leave them to rest for 25-30 minutes (this will allow the gluten to relax and it will be very easy to roll them out). Time to roll out the piadine! 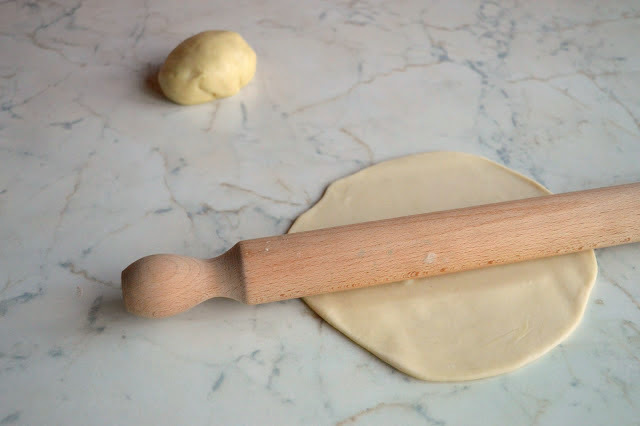 Using a rolling pin, roll the pieces out to 20-22 cm in diameter (8 or so inches). Heat up your pan until its nice and hot, then add a piadina and cook it for about 10 seconds and the turn it over. You should see some brown specks. Keep turning the piadina over and prick it with a fork to prevent the it from puffing up. 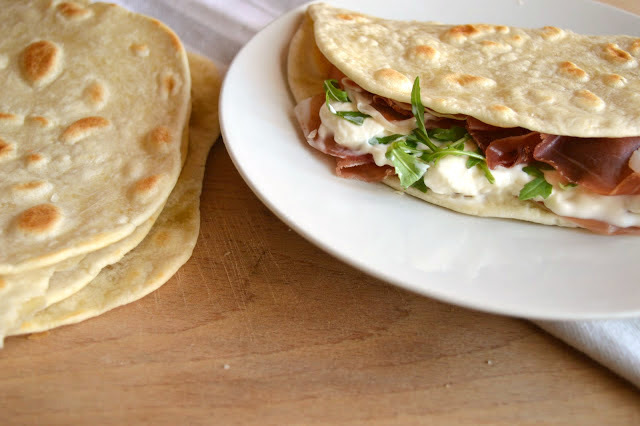 The piadina is ready when it has an opaque, dry surface with a bit of random brown spots. Once all your piadine are cooked, fill them with whatever vegetables, meat, or cheeses you'd like, and dig in. As you can see from the below, I went with my favorite flavor combination from my Bologna days -- prosciutto crudo, stracchino cheese, and arugula -- but feel free to experiment with whatever meats, cheeses, and vegetables you'd like. Makes 7 piadine.